By the end of the weekend, James Wan’s Aquaman will have become the most financially successful superhero movie Warner Brothers and DC have ever produced together—a title previously held by The Dark Knight. That’d be a huge accomplishment for any filmmaker, but for Wan in particular given the studio’s recent pivot to focusing on director-driven projects. Earlier this month in an interview with the Hollywood Reporter, Warner Bros. Chairman Toby Emmerich explained that rather than attempting to follow in Marvel’s footsteps with a traditional shared cinematic universe, the future of the DCEU would be defined largely by the visions of the various directors (like Patty Jenkins and Ava DuVernay) who head the films. While many of the films will still be narratively connected in the grand scheme of things, what the studio wants is to make good movies first, and worry about crossover potential later. With Aquaman being both such a critical and financial success (to the tune of over $1 billion), the studio now has all the reason to follow through on its new production initiative, especially regarding the inevitable Aquaman sequel. Obviously, Warner Bros. wants Wan back for round two, but according to Wan’s representation, he’s not a sure get for the project...yet...and there are a couple of important reasons why. 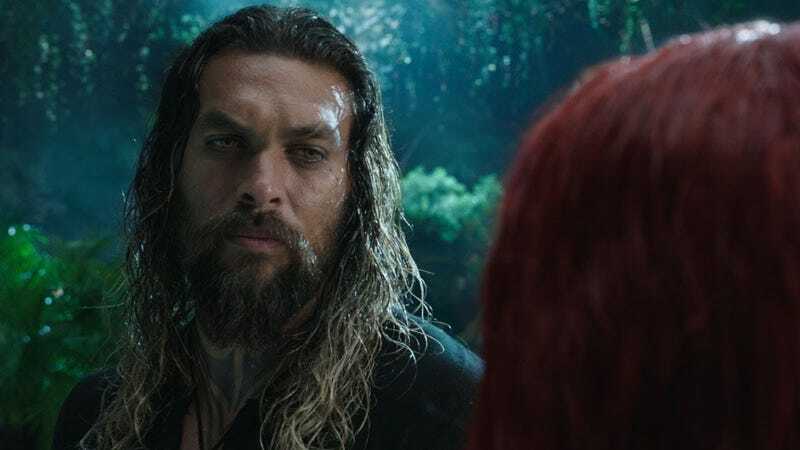 Speaking to Deadline, Wan’s team explained that while an Aquaman sequel is already technically in development, the director won’t officially sign onto it until he sees a script for the movie that he feels is a worthwhile successor to the first film. Given how much of Aquaman’s wildly imaginative, fantastical, and honestly refreshing energy is the direct result of Wan’s vision, it makes sense that he would only want to attach himself to a movie he felt would give him the same kind of material to flex his creative muscles with. Now that the onus falls onto the studio to ensure that the script to Aquaman’s followup is appealing enough to lure Wan back, it’ll be interesting to watch how this all plays out in the long term—both to see whether Wan decides whether to give it another go, and to eventually see if his involvement in the movie would prove that the studio has the right idea about how to finally give Marvel Studios a run for its money.